Mack Ray Greene, son of Fred Capers and the late Marcella Greene, was born March 12, 1985 in Hampton SC. On Tuesday, January 8, 2019, in Hampton SC, he entered into eternal rest. Mack attended Wade Hampton High School, Varnville, SC and earned a living in the maintenance department at McDonalds of Bluffton SC as well as a cook at Hampton Restaurant in Hampton SC. Mack Ray enjoyed spending time with his family and friends. He never left your presence without telling you “I love you”! He resided in the home with his partner, the mother of two of his children, Elaine Forrester. He was preceded in death by his mother, Marcella Greene; maternal grand parents, Johnnie L. “Mickie” Greene and Ella O’Banner Greene; and his paternal grand parents, Willie Capers and Margaret Terry Capers. 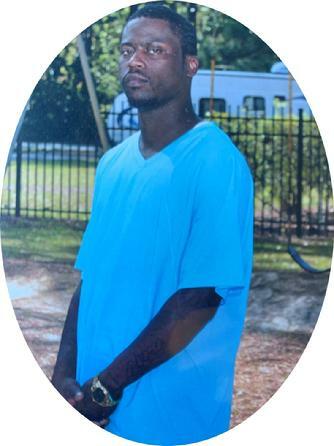 Mack is survived by his three children: Elias Greene, Ar’Monie Greene, and Mac’queze Greene, all of Hampton SC; His siblings: Trinette Greene, Carl Greene, Donna Greene, and Chelstia Capers; Bonus sister and brother: Ebony Greene and Tyeesi Hoosendove; Aunts: Bobbie “Jackie” Young, Deloris “Gwen” Williams, Betty Jean Wooden, Claudia Mae Green, Margaret Capers Strobhart (Willie), Iva Della Moultrie (Tony), Mae Williams (Vander), Carrie Major (Theodore), and Louise Reid; One Great aunt, Liza Thompson; Uncles: John R. Greene (Rose); Great uncle: Henry L. ”Nub” Greene, Derrick Capers (Loretta), Ervin Capers (Velma), C.W. Capers (Ada), Rufus Capers (Deloris), and Melvin Capers; A host of nieces, nephews, numerous cousins, other relatives, and friends.